A proud history of accomplishment. As the Coalition for a Tobacco-Free Hawai‘i, a non-profit founded in 1996, we’ve directly impacted the quality of life on the islands. Most notably, we spearheaded the campaign to make all workplaces, restaurants and bars smoke-free, and we led the effort to make Hawai‘i the first state in the nation to raise its age to purchase tobacco products (and electronic smoking devices) to 21. Find some of our more notable accomplishments by hovering over the markers on the map below. In 2016, Kaua‘i prohibited smoking in a vehicle when children 12 or younger are present. 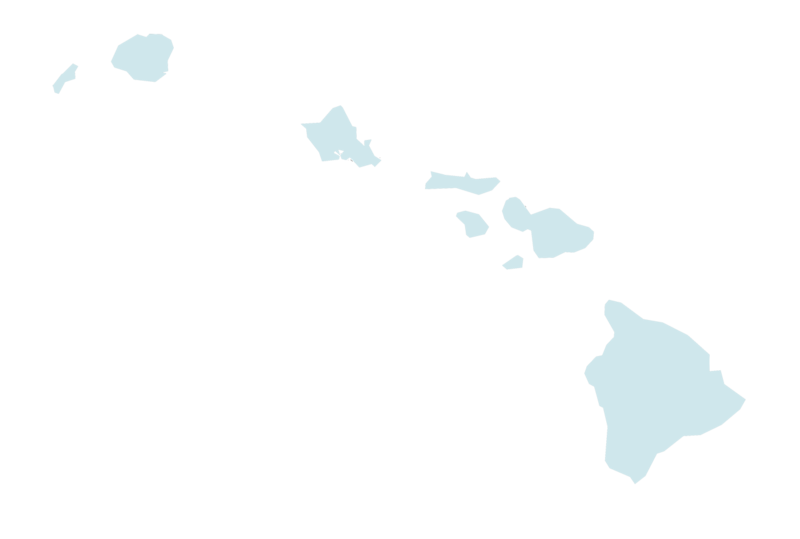 In 2006, Hawai‘i passed a clean indoor air law and became a smoke-free state! In January 2016, Hawai‘i became the first state to raise its age of sale on all tobacco products and electronic smoking devices to 21. Vaping is also now prohibited anywhere smoking is. In April 2014, Maui County beaches and parks went tobacco-free! 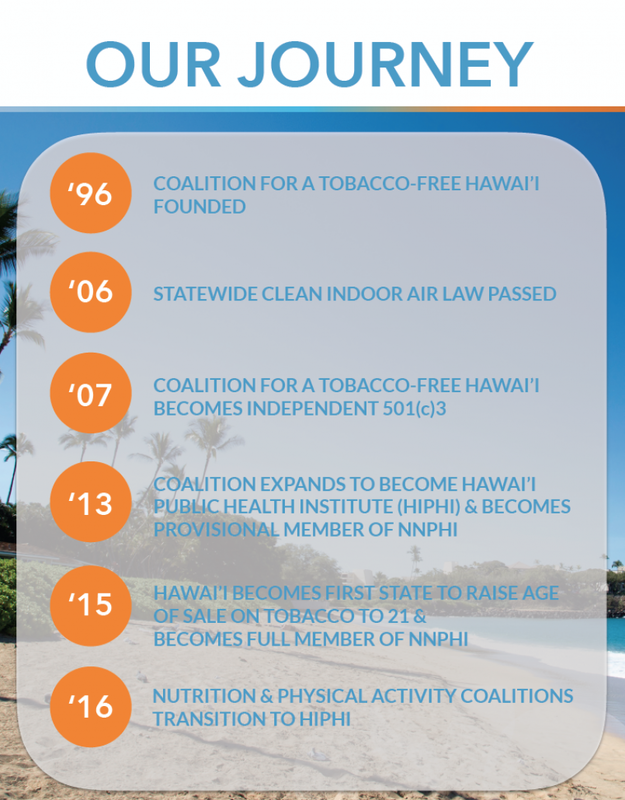 Since deciding in 2012 to expand the Coalition for a Tobacco-Free Hawai‘i (“CTFH”) into the Hawai‘i Public Health Institute (“HIPHI”) — moving from a singular focus on tobacco-related issues to a broader public health mission and portfolio of advocacy initiatives, programs and services, we have made steady progress toward realizing the full potential of our organization. In 2012 and 2013, following years of game-changing work on tobacco control and prevention, we received funding for expansion planning and implementation from the National Network of Public Health Institutes (“NNPHI”) and Kaiser. We then established HIPHI as our new parent organization (while continuing the work of CTFH), launched HIPHI’s new brand identity and website, and received provisional membership to NNPHI. In 2014 and 2015, HIPHI’s work (via CTFH) led to the passage of landmark legislation making Hawai‘i first-in-the-nation to raise its age of sale for tobacco products to 21. We also significantly expanded our policy and program portfolio to include obesity prevention and, by request, became the co-chair the State’s Obesity Prevention Task Force. Additionally, we began to explore and organize around community health issues through the Perspectives on Community Health field trips. After years of effort, we achieved full membership in the National Network of Public Health Institutes. Moving forward, with continued effort and purpose, HIPHI has the opportunity to play a unique role in Hawaii’s public health ecosystem because of our broad focus, relationships with and role as convener of many different types of stakeholders, ability to implement policy/advocacy campaigns, and our capacity to provide services. HIPHI hopes to become even more of a bridge between community and partners from government and health care so that all relevant stakeholders throughout the Hawaiian Islands are involved in decisions related to public health policy, programs, and investments. We believe we can play a significant role in the shift of public health from being primarily about treating disease to the promotion of preventing it. Vice President, Government Relations & Community Affairs, Hawai‘i Pacific Health. Hawai‘i Pacific Health is the non-profit health care system comprised of Kapi‘olani Medical Center for Women & Children, Pali Momi Medical Center, Straub Medical Center and Wilcox Medical Center on Kaua‘i with a mission to create a healthier Hawai‘i. Mark Levin is a Professor of Law and the Director of the Pacific-Asia Legal Studies Program at the William S. Richardson School of Law in Honolulu. 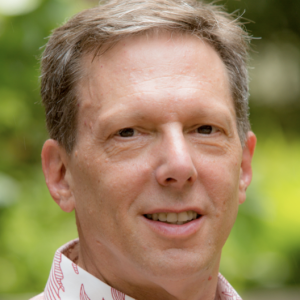 His work in public health includes research and numerous publications, as well as policy advocacy, primarily with regards to tobacco control in Hawai’i, Japan, and globally, since 1995. An avid bicyclist, Mark strongly supports the Complete Streets initiative in urban planning and transportation design. Joy Barua is a multidisciplinary leader with diverse portfolio in non-profit, health, higher education and economic development sectors spanning two decades. Presently, as Senior Director of Government & Community Relations, and Community Benefit for Kaiser Permanente, he leads regional government affairs and serves as advocate on issues, policies and priorities. 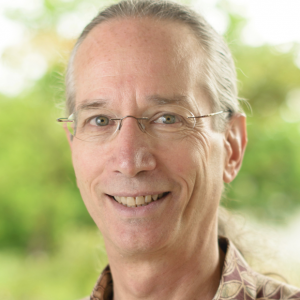 Forrest Batz, PharmD is a public health proponent active in the Hawaiʻi tobacco cessation and immunization advocacy communities. 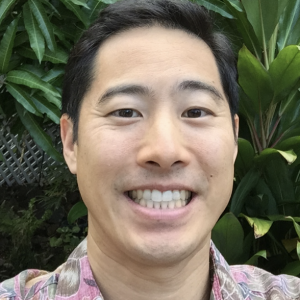 Forrest is a Consulting Pharmacist and serves as Affiliate Faculty with the University of Hawaiʻi at Hilo Daniel K Inouye College of Pharmacy. JoAnn brings 30+ years of experience as a Public Health Educator with a career of work focused on Native Hawaiian and Pacific Islander audiences, low-literacy/low health literacy groups, and the medically underserved and indigent populations in Hawai‘i and the western Pacific. She currently serves as Director of the Community Based Research Cores on two multidisciplinary and translational research programs at the University of Hawai’i John A. Burns School of Medicine. 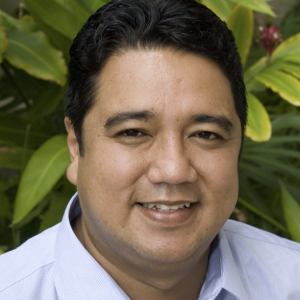 Dr. Keawe Kaholokula is an Associate Professor and Chair of Native Hawaiian Health in the John A. Burns School of Medicine at the University of Hawai‘i at Mānoa. He is also a licensed clinical psychologist with a specialty in behavioral medicine. 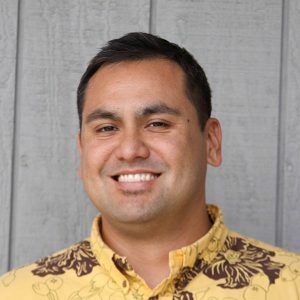 In addition to HIPHI, he serves on the boards of Papa Ola Lōkahi Native Hawaiian Health Board, and Kaho‘omiki: Hawai‘i Council on Physical Activity and Sports. Kilikina Mahi is a freelance consultant whose work supports diverse projects that contribute to the health of our land, families and communities in Hawai‘i. Her financial and project management consulting services draw on her past experience in private sector finance, philanthropy and nonprofit management. Kina lives in Hā‘iku, Maui with her husband and two children. 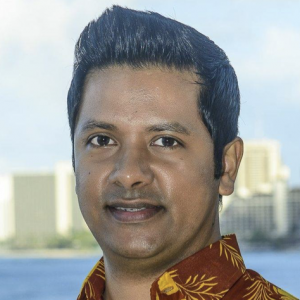 Dr. Mih is a practicing general pediatrician in Honolulu, Hawai‘i, and is an assistant professor of pediatrics with the John A. Burns School of Medicine at the University of Hawai‘i. Since 2010, Dr. Mih has been the Medical Director for the tobacco and nicotine cessation program at Kapiolani Medical Center for Women and Children. He was a 2014 awardee of the Julius B. Richmond Visiting Lectureship Program. 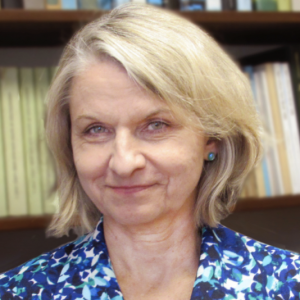 Rachel Novotny is Professor of Global Nutrition in the College of Tropical Agriculture and Human Resources at the University of Hawai‘i at Mānoa. Dr. Novotny is trained in maternal child health, nutrition, epidemiology, anthropology and environmental biology. She has published more than 140 scientific papers related to maternal, infant and child nutrition and health in remote regions and among culturally diverse populations. Catherine A. Taschner is an attorney in the transactional department of M4, where she concentrates her practice on complex real estate transactions with an emphasis on acquisitions, dispositions, development, commercial financing, land use and entitlements, and corporate and securities law. Ms. Taschner serves as the M4 Pro Bono Coordinator and sits on the M4 Marketing Committee. 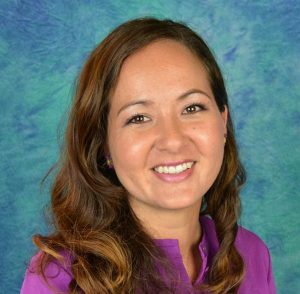 Ms. Taschner is also a current board member of Montessori Community School, the Entrepreneurs Foundation of Hawai‘i, and the Aloha United Way Society of Young Leaders. 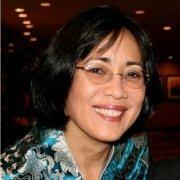 Debbie is currently with Kamehameha Schools as the director of Financial Planning and Analysis. She has a diverse background leading various finance functions including accounting operations, financial reporting, investment reporting, and budgeting. Previously, she was an assurance manager with KPMG, LLP. En Young is the General Manager of Sensei-Lana‘i Farms, a hydroponic startup looking to supply high quality produce to Hawai‘i consumers. Prior to this, En was the Executive Director of The Food Basket, Inc., Hawai‘i Island’s Food Bank, where he worked to assure access to high quality food for low-income individuals and equity along the length of the food chain. En has been on the Board of Directors for the Hawai‘i County Economic Opportunity Council, Hawai‘i Alliance of Non-Profit Organizations, Community Council for the Purchase of Health and Human Services and, most recently, the Hawai‘i Public Housing Authority. Sally has been the East Hawai‘i Coalition Coordinator since September 2010. She holds a B.A. from the University of Hawai‘i at Hilo. Sally previously worked for the American Lung Association as the Hawai‘i Island Program Coordinator and brings a wealth of experience in tobacco prevention and control, as well as history with her local Coalition. Lydi has over a decade of experience building school garden programs and growing Hawaii’s farm to school movement. In 2014, she became the founding Coordinator of the Hawai‘i Farm to School Hui. Prior to her role as Hui Coordinator, Lydi served as Garden Education Coordinator with the Kōkua Hawai‘i Foundation where she was the lead author of the ʻĀINA In Schools garden and compost curricula and led trainings for several hundred teachers and volunteers annually. She is a certified O‘ahu Master Gardener, Permaculture Designer, and graduate of Hawaii’s Agricultural Leadership Program. Lydi was raised in Honolulu, graduated from Punahou School, and earned her B.A. in Biology at Amherst College in Massachusetts. Brian has spent more than two decades running policy and political campaigns, both digital and on-the-ground. He served as the Director of Grassroots Operations for the Campaign for Tobacco-Free Kids between 2008 and 2015, leading the high-profile effort to restrict tobacco use in Major League Baseball and the campaign to end tobacco sponsorships of overseas concerts by major artists such as Kelly Clarkson, Alicia Keys and Maroon 5. Brian also co-led the successful 2013 effort in Maryland to pass some of the strongest gun violence prevention laws in the nation. Rick Collins is a Cincinnati, Ohio native who has lived and worked in Hawai’i since 2003. He currently serves as the Director of the Maui Coalition for Drug-Free Youth on Maui. Rick’s career passion is in creating responsible drug and alcohol policies that keep youth safe and drug-free. He enjoys playing hockey, is a father of two and husband to one, and partakes in as many outdoor activities as time allows. Rick has an M.S. in Counseling Psychology from Chaminade University and a B.A. in Religious Studies from the University of Dayton. He is a licensed Marriage and Family Therapist and a Certified Prevention Specialist. Katie received her B.A. in Anthropology from the University of California at Berkeley. She moved to Hawai‘i ten years ago and worked as an archaeologist and anthropologist here on Maui for close to a decade until she joined HIPHI last year. She is a competitive outrigger canoe paddler, mother of two, and former smoker. She feels passionately about the work HIPHI is doing to promote health in our community. Roella has more than a decade of experience with program and contract management, philanthropy, grant development and administration, budget management and community relations through her work at the Hawai‘i Community Foundation. She was part of the oversight and management team for the Hawai‘i Tobacco Prevention and Control Trust Fund, serving as a liaison with grantees, partners and stakeholders. She received her undergraduate degree in Health Science from San Francisco State University in 2000 and her Master’s degree in Public Health from the University of Hawai‘i at Manoa in 2011. Michelle joined Coalition for a Tobacco-Free Hawai‘i in 2007 and has spent the last 10+ years working in the non-profit sector mainly overseeing the fiscal and accounting departments for various non-profit organizations. She currently serves on the board of directors of PHOCUSED. In her spare time, she can be found biking around Hawai‘i Kai, enjoying Makapu`u Beach or curled up with a good book. Rie joins HIPHI as an AmeriCorps VISTA and will be working on several special projects, including developing HIPHI’s public health internship program, building a robust database system for HIPHI, assessing school-based health efforts in the US and in Hawai‘i, and collaborating with staff on community health needs assessments. She has a decade of experience in public health and mental health, working with Native Hawaiian, Pacific Island, and marginalized communities in Hawai‘i, Micronesia, and California. 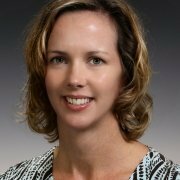 Prior to joining HIPHI in January 2016, Trish worked in the Governor’s Office to develop the State Health Care Innovation Plan to help improve health systems performance, increase quality of care, and decrease costs for the residents of Hawai‘i. Trish has more than eight years of experience working on both state and federal policy solutions in public health, advocating particularly for Asian American, Native Hawaiian, and Pacific Islander communities. Trish earned her Masters in Public Administration from the University of San Francisco and received her B.A. from the Ateneo de Manila University in the Philippines. She is currently earning her certification in Healthcare Analytics from the University of California, Davis. Lauren is originally from New York City and has her MPH from Long Island University in Brooklyn. She has worked with various non-profit organizations such as the New York Common Pantry and The Partnership for a Healthier New York City. Lauren is also a Certified Holistic Health Coach through the Institute for Integrative Nutrition. She has been living on Maui for just over a year in the hopes of contributing to wellness on Maui. Steph was born and raised in Alewa Heights on the island of Oahu. She attended college in Colorado where she received her Bachelors degree from the University of Northern Colorado and her Masters in Public Health from the Colorado School of Public Health. Steph previously served as the Tobacco Control Program Coordinator for Kokua Kalihi Valley for three and half years, before joining the HIPHI team. Jaylen is the Advocacy and Outreach Coordinator at HIPHI, where she helps to support policy efforts at the state and county level and promote smoke-free housing. She originally joined the HIPHI team as the Programs Assistant, and in July 2016 transitioned to her current role as Advocacy ad Outreach Coordinator. Jaylen graduated from Stony Brook University in 2014 with a B.S. in Health Science with a concentration in Public Health/Community Health Education. Dr. Nicole Nakashima is born and raised on Oahu and comes to HIPHI after practicing general dentistry with the Air Force in Colorado Springs, CO. She received her B.A. in Neuroscience from the University of Southern California in 2007, a D.D.S. from the University of Texas Health Science Campus San Antonio School of Dentistry in 2012, and attended an Advanced Education in General Dentistry (AEGD) residency in 2012-2013. She served as a General Dentist and the Cheif of Preventive Dentistry at the U.S. Air Force Academy before returning to Oahu in 2017. She is projected to graduate with a Masters in Public Health from Hawaii Pacific University in December 2019. Maka was born and raised in Hilo on the island of Hawaii. She recently joined HIPHI after earning her Bachelor’s Degree in Nutrition and Master’s Degree in Public Administration on Long Island. Lia graduated from Hawaii Pacific University in May of 2008 with a BSBA in Business Marketing and then again in December 2011 with an MBA in Business Management. Kevin joined the HIPHI team in January 2017 and has over sixteen years of experience coordinating youth programs and doing community organizing and prevention work in Philadelphia, PA. A recent transplant to Honolulu, Kevin spent the past eight years directing award winning after-school and summer programs utilizing Hip Hop arts and culture for high school students highlighting the intersection of artistic and creative expression with individual and community health. Valerie has been an active member of the Coalition for a Tobacco-Free Hawai‘i since 2003 and spent the past 14 years working in various platforms of tobacco-control on O‘ahu and Kaua‘i. In July 2010, Valerie joined the staff of the Coalition for a Tobacco-Free Hawai‘i as the Kaua‘i Community Coalition Coordinator. In 2017, Valerie – after a year hiatus – returned to her passion in tobacco-control as the Kaua‘i Community Coordinator. Simran joins HIPHI as an Americorps VISTA after graduating from San Jose State University with her Bachelor’s Degree in Public Health. She was born and raised in California where she served her community through the Santa Clara County Employee Wellness Department and the California Department of Public Health. 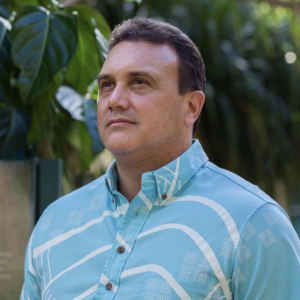 Prior to joining HIPHI as staff, Scott had previously worked with the Institute on multiple policy committees as Executive Director for Community Programs with Blue Zones Project Hawai‘i. A resident for more than 25 years, Scott has been very involved in youth-focused activities, ranging from working 20+ years at Hawai‘i Pacific University in enrollment management to volunteering with the Boy Scouts of America and the American Youth Soccer Organization. He has an M.A. in Leadership from Augsburg College and a B.A. in Business Administration from Coe College. Born and raised in Honoka’a, Hawai’i, Jen has been a member of the Coalition for Tobacco-free Hawai’i Island & the Hawai’i Diabetes Coalition since 2013. She is a certified Life Coach and has been in the medical field for a decade now. She feels very passionate about supporting her community in healthy living. Jessica has been the Executive Director of the Hawai‘i Public Health Institute since 2012. She graduated from the University of Hawai‘i with a B.A. and M.A. in speech communication, with an emphasis in health communication. Prior to becoming the executive director, she served as the policy director for the Coalition for a Tobacco-Free Hawai‘i and worked to advance tobacco control policy initiatives in an effort to reduce smoking rates. 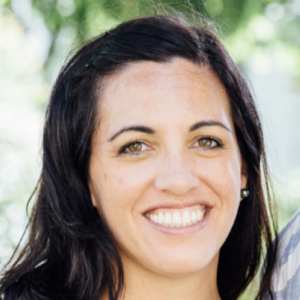 Jessica has worked in the non-profit sector for over ten years and has worked for the University of Hawai‘i, Office of Public Health Studies and the University of Hawai‘i Cancer Center. Jessica currently serves as co-chair of the obesity prevention task force. HIPHI seeks an experienced community-driven individual to assist in the coordination and implementation of Public Health projects and initiatives at the Hawai‘i Public Health Institute (HIPHI) for Hawai‘i County and will be physically located in West Hawai‘i County. This position reports to the Community Coordinator for Hawai‘i County and the Programs Director (in Honolulu) and will provide support to the Hawai‘i County Coordinator. We believe in total transparency. Check out our annual reports.